Be the first to share your favorite memory, photo or story of Robbie. This memorial page is dedicated for family, friends and future generations to celebrate the life of their loved one. 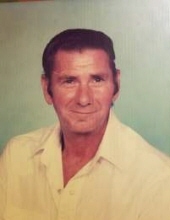 Robert Lee Frady, 79, of Millboro, Virginia died Friday, October 26, 2018 at his home in Bath County, Virginia. He was born October 12, 1939 in Habersham County, Georgia, the son of the late Thomas Lawrence Frady and Bell Childs Frady. Robert was formerly employed as a maintenance man for Burkes, Parson, & Bolby. He was a simple man who loved life, as well as a loving husband, father, grandfather, and great grandfather. Robert is survived by children, Robby Frady and wife Cynthia of Millboro, Tony Frady and wife Theresa of Hot Springs; grandchildren, Jill, Anthony, Jessica, T.J., Josh, and Haylee; 9 great grandchildren; and a sister, Betty Garratt of Maysville, Georgia. He was preceded in death by his 2 sons, Jody and Randy. A Graveside Service will be conducted at Antioch Cemetery, Mt. Airy, Georgia at 4:30 PM, Sunday. October 28, 2018 with the Reverend Julia Rautenberg. officiating. Mr. Frady can be viewed Sunday from 8 Am until 3 PM at the Acree-Davis Funeral Home. Acree-Davis Funeral Home in charge of local arrangements. To send flowers or a remembrance gift to the family of Robbie Lee Frady, please visit our Tribute Store. "Email Address" would like to share the life celebration of Robbie Lee Frady. Click on the "link" to go to share a favorite memory or leave a condolence message for the family.